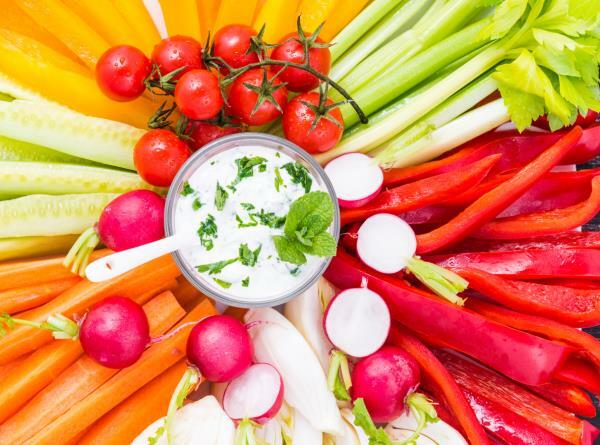 A meta-analysis of 56 unique studies, reviewed by Hanna E. Bloomfield, MD, MPH, from the Minneapolis Veterans Affairs Medical Center, Minnesota and colleagues has shown that the high fat content of the colourful Mediterranean Diet, was associated with a reduction of breast cancer risk (57%) and colorectal cancer risk (9%), a reduction in diabetes risk (30%) and a reduction in cardiovascular risk (29%). All cancer mortality declined by 14%. “We found in our study ... that healthy diets can include a lot of fat, especially if it´s healthy fat,” said Bloomfield. Typically the Rainbow Diet includes a lot of cold pressed olive oil, nut oils (like walnuts) and nuts and seeds, and oily fish. But it also includes foods like rillettes and pates not usually seen as healthy. In a separate 2014 meta-study and another in 2010, no difference was seen in cardiovascular risk between those consuming a high fat diet and those on a low fat diet (See here - http://www.chriswoollamshealthwatch.com/articles/Meta-Study-shows-saturated-fat-has-no-influence-on-heart-disease/3126). Current thinking is that high sugar, high grain diets cause inflammation in the body and it is this that causes plaque to build up. New research has shown that the lack of diversity in the Paleo Diet can endanger the health of the gut micro biome.